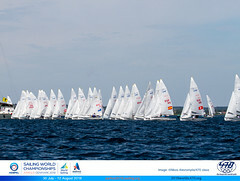 The weekend of August 18-19 the Open Polish Nationals were sailed in Świnoujście. 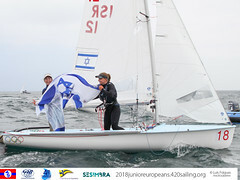 The 2018 505 World Champion crew Holger Jess had teamed up with 2017 World Champion in 470, Agnieszka Skrzypulec. They won convincingly, scoring 6 first places out of seven. In second place and the best all-Polish team was Ewa Bartosiewicz/Dominik Buksak, who won the seventh race. 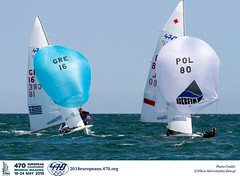 Buksak recently was silver medallist at the 49er European Championships. Congratulations to the winners and to all the 28 teams that enjoyed great sailing in the one and only 505 class.